BEST VALUE. 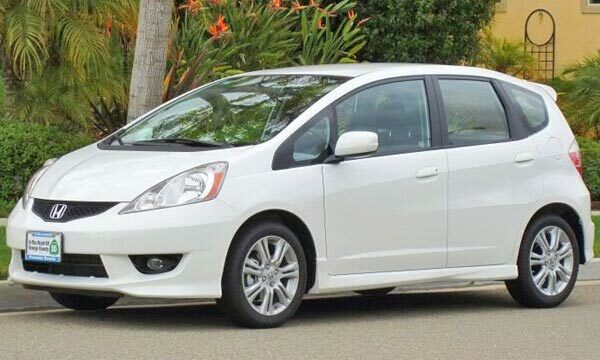 The 2011 Honda Fit has the best value among more than 200 vehicles included in the analysis conducted by Consumer Reports. In the list of the best cars of 2011, seven of the best value models are from Hyundai and its brand Kia, which have been producing a serie of new models that had good scores in the Consumer Reports tests and have an expected reliability average or above average. If their brands Lexus and Scion are included, Toyota continues to lead in the best values vehicles, with 11 models, and five of the best models are Honda and Acura. Among the worst values, three models are from Chrysler, seven from General Motors and nine from European brands. The scores were calculated based on the cost for the owner during five years for each vehicle (in terms of cost per mile), along with the test scores of Consumer Reports and the reliability gained for the publication. Cost estimates for the owner in five years consider the depreciation, fuel costs, insurance premiums, interest of financing, maintenance, repairs and sales tax. Depreciation is the biggest factor in the cost to the owner. In total, eight categories of vehicles evaluated, among them family cars, high-end sedans, luxury sedans, sports cars, trucks and minivans, small SUVs and midsize SUVs. Within each category, the models were positioned according to their score, above or below average. Consumer Reports named the Honda Fit as the small car with the best value in its annual auto edition 2011 and as the best value overall from about 200 vehicles examined, ranging from small cars to luxury sedans. At the other side of the spectrum, the Jeep Wrangler, which is known for its rough terrain capabilities, was ranked as the car with worst value in generally. "A low price does not necessarily make your car has a good value", said Rik Paul, automotive editor of Consumer Reports. "At a time when people need to make every dollar count, our list of cars with best value helps consumers to understand the differences." Consumer Reports turned to their data about performance, reliability and cost to the owner to calculate scores for about 200 vehicles, ranging from small cars like the Honda Fit to luxury sedans like the BMW 750Li. With a starting price of $16,000, the Honda Fit has the best value among the more than 200 vehicles from the analysis of Consumer Reports, the Chevrolet Aveo, similarly priced, is the worst value of its class, with higher costs to the owner, low test scores and below-average reliability. The difference in costs to the owner could be $3,000 in five years, the typical time frame that most people keep their cars. Various family cars and small SUV also stand out as good values, among them are included the Honda CR-V, the Hyundai Sonata, the Subaru Forester and some Toyota, specially the Camry, the Prius and the RAV4. Small and family cars tend to offer the best value for the money, while luxury cars usually have a higher value. But there are always exceptions. For example, the best luxury car according to Consumer Reports, the Hyundai Genesis 4.6 with V-8 engine, has a score equal to the average of all cars. Even some SUVs can be of good value, but the midsize models tend to be more expensive over time, due to increased fuel consumption and a higher purchase price. However, several models had a score above average, including the Hyundai Santa Fe, the Kia Sorento 4-cylinder and the Toyota Highlander V6 hybrid.